Digital design and fabrication tools obtain constraints affecting creativity in conceptual design phase. There is a necessity to have a better understanding of issues related to the rationalization process of form, material and fabrication. 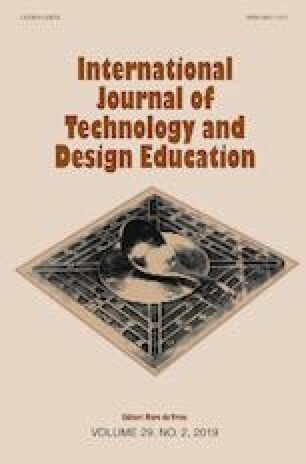 The objective of this paper is to integrate analogue craft into architectural design studio that can be applicable into various educational setups, in order to increase the algorithmic thinking skills of students, before giving tutorials on the software tools and digital fabrication techniques. The Rule-based Rationalization of Form (RRF) was implemented as a task for a mobile unit design through computational making. The research methodology of RRF consists of four stages, including specifying the design constraints and the rules; the design of the components and the overall form; making the large-scale mock-up; and process evaluation. It was implemented to the second year undergraduate architectural design studios from Fall 2014 to 2016. The data were collected by the process analysis and questionnaire applied to the participants. The output studies were grouped in three, as Modular, Folding and Biomimetic design systems, based on the geometrical characteristics and organizational principles applied in the process. In the light of research objective, algorithmic thinking skills of students were developed through analogue craft, as well as participants obtained a better understanding of issues related to the rationalization process of form, material and fabrication, by testing relationships between the geometry, tools and the materials. The studies were undertaken at Ozyegin University Faculty of Architecture and Design in Istanbul from Fall 2014 to Fall 2016. The student names of the featured work are Asem Sallam, Elif Kaya, Yaren Aslan, Ayse Ozlem Dal, Eda Fer, Ece Tunca, Didem Bozdemir, Ipek Duysak, Ecem Taskin, Tugce Caner, Egenur Corlu, Ecenur Corlu, Sena Ozgurcan, Enis Tan Ulman, Edanur Ozbayraktar, Atilla Mert Cukaci and Asli Suberker.